Design as a discipline is no longer the domain of visual aesthetics and cosmetic beautification of products and services. Business houses are rapidly embracing Design as a strategic tool, not just to engage their audiences but to elevate the economic and strategic value of their products and services. This merging of the Design and economic disciplines is what we call Designomics. The Designomics Awards is the first award of its kind in India that not only appreciates Design, but also empowers, celebrates and elevates the businesses that adopt the power of Design to bring positive and lucrative results. The Designomics Awards will be presented on the basis of effectiveness and impact of design solutions to those enlightened businesses that took the forward step in incorporating strategic Design in their various important milestones of the business. The first edition of the Designomics Awards will recognize examples of excellence in strategic Design as shortlisted by our research team and will be put forward to our panel of judges. The judges will include representatives from VGC, UTV-Bloomberg and the World Brand Congress. 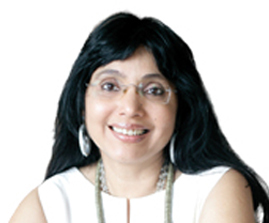 Designomics is the brainchild of Preeti Vyas, Chairwoman and Chief Creative Officer of VyasGiannetti Creative, widely regarded as one of India's foremost creative minds.